Vending machines come in handy when we need to have a quick snack, grab beverage, cigarettes, or even electronic stuff asap. 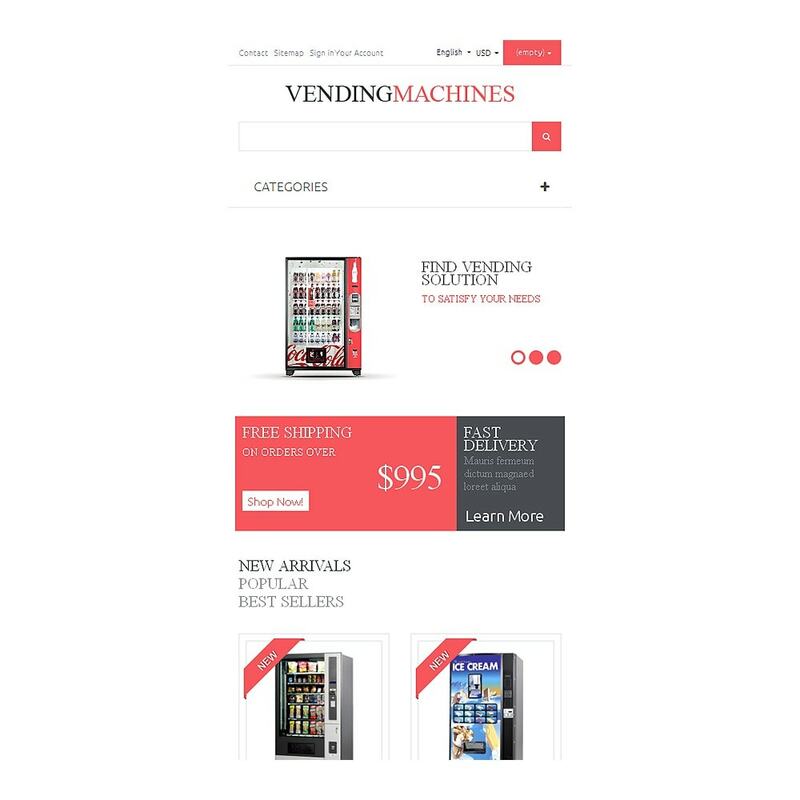 With the help of the given template, you can start an online vending machines store and provide users with a more enjoyable way of making purchases. 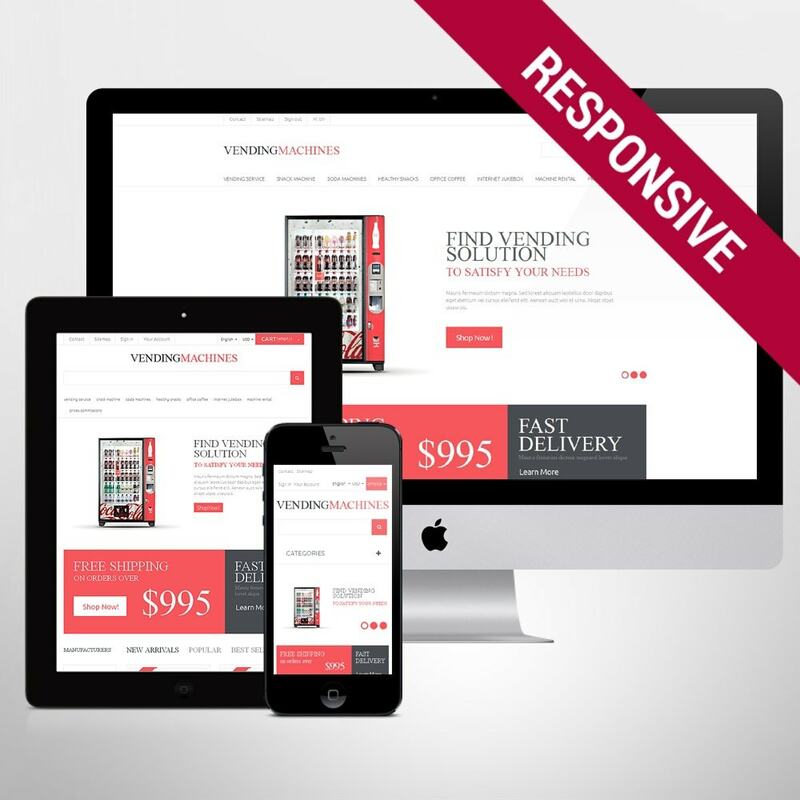 Its clean and clear layout will reveal the transparency of your business strategy. 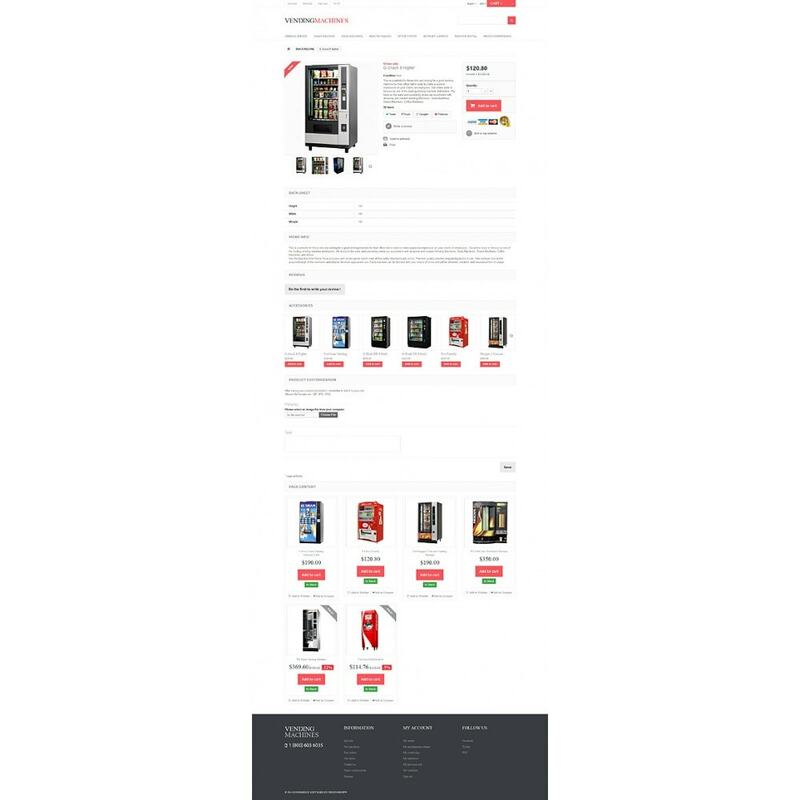 Filtering items by category and manufacturer or simply using the integrated search bar, people will be able to find the product of interest in a few minutes. 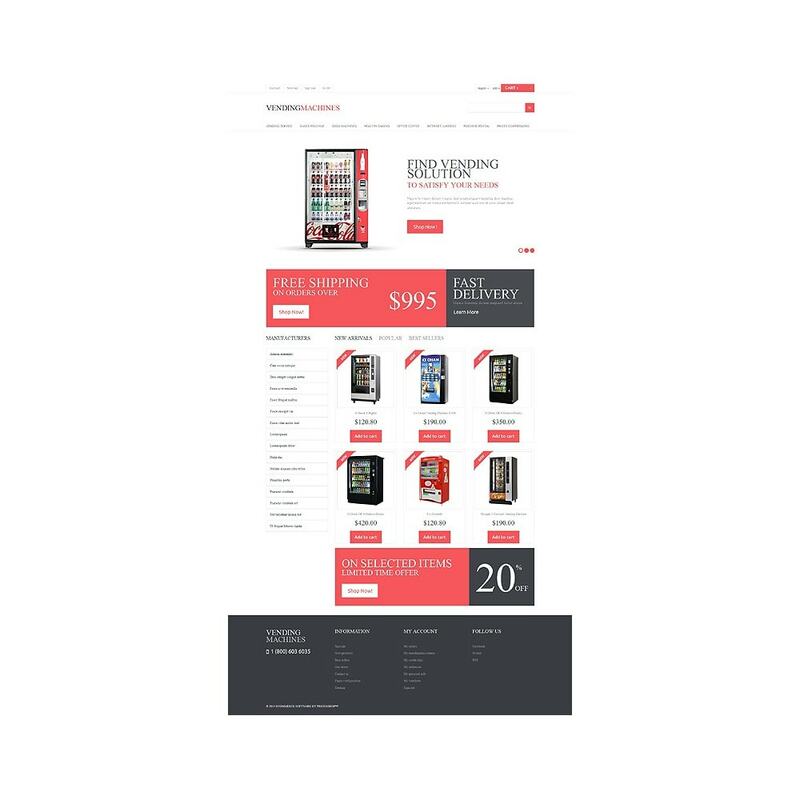 Owing to vivid coral hues of its banners and call to action buttons, you will be able to make people focus on the stuff on offer. 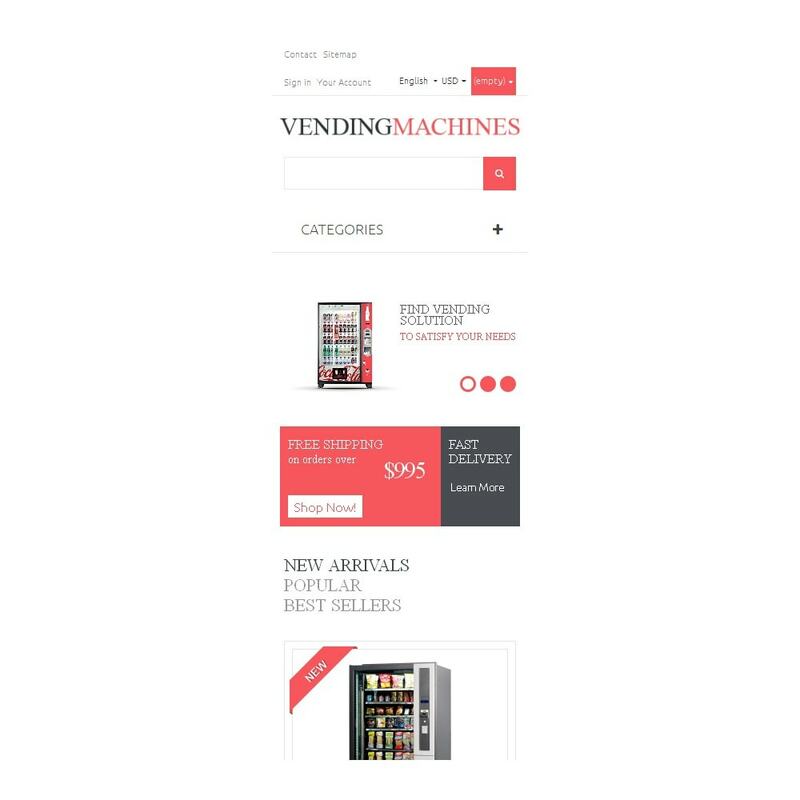 Pick this theme to sell vending machines online. 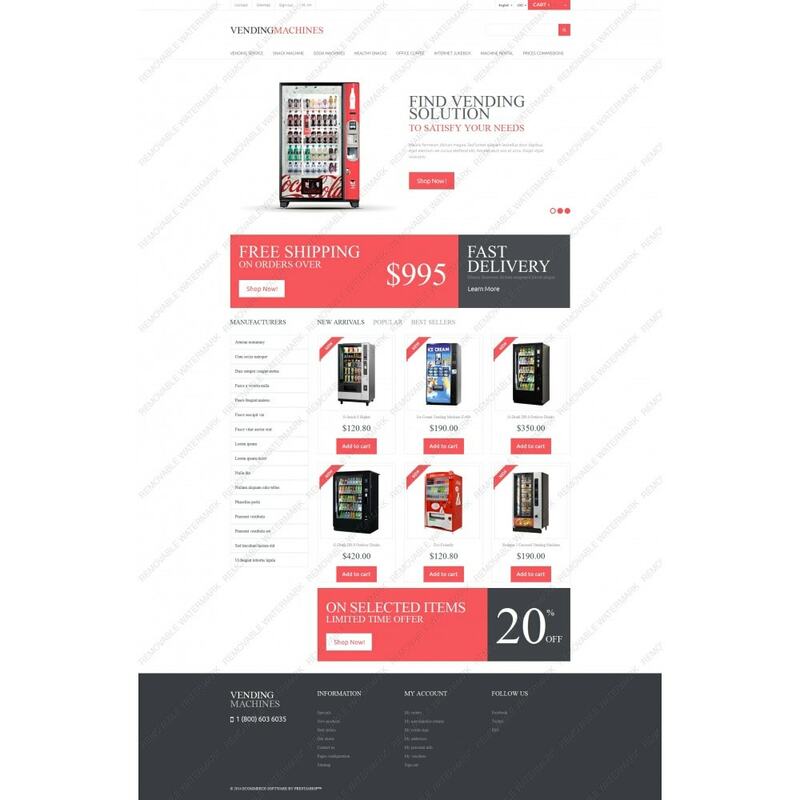 The theme can be used for food drink, electronics, software, and hosting sites.